Stylish Bridal Dresses Sharara and Gharara Designs 2015 for wedding has bee launched by famous designers of Pakistan. Wedding day s very important for everyone. For this beautiful event boys, girls, grooms ad bridals prepare beautiful dresses. Bridal Dresses fashion also changing by the passage of time. 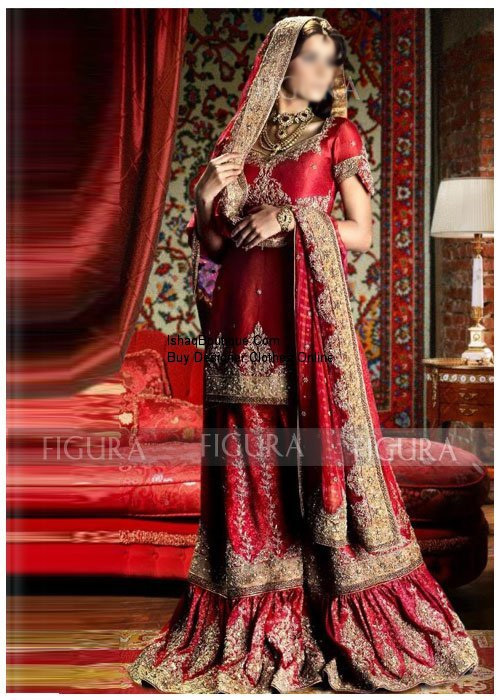 Now a days Gharara Lehenga Choli is the most famous bridal dress in modern girls. 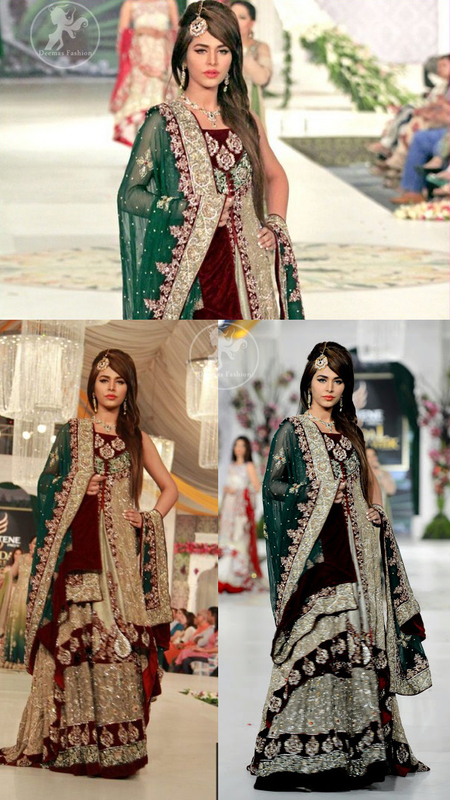 There is many designers in Pakistan offering this dress for brides at affordable prices. Young girls and mature women also likes gharara for their wedding. The most famous colors are red and grey, red and green, purple and ferozi, green, pink and so on. The gharara are design with banarsi, chiffon banarsi, silk banarsi, chiffon and crinkle Georgette fabrics. In the past gharara is also know as Mughlia Outfit for women. This is the very old bridal dress fashion and some years back it becomes completely out of fashion and Sharara taken a valuable space in bridal dresses. But Gharara now back with most demanding bridal dress. 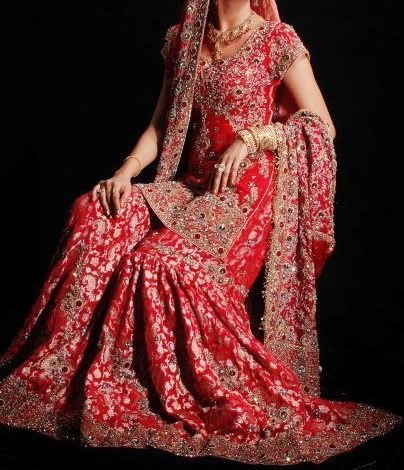 Sharara also looks like a lehenga but its two legged beautiful bridal dress. Everyone wants to look beautiful especially on their wedding day and beautiful wedding dress makes your dream true. Bridal Dresses Sharara and Gharara Designs 2015 are the best choice for you for your big day. Many famous designers of Pakistan have been recently introduced their Sharara Dresses and Gharara Bridal Collection 2015. So if you getting married soon then these are the best dress for you. 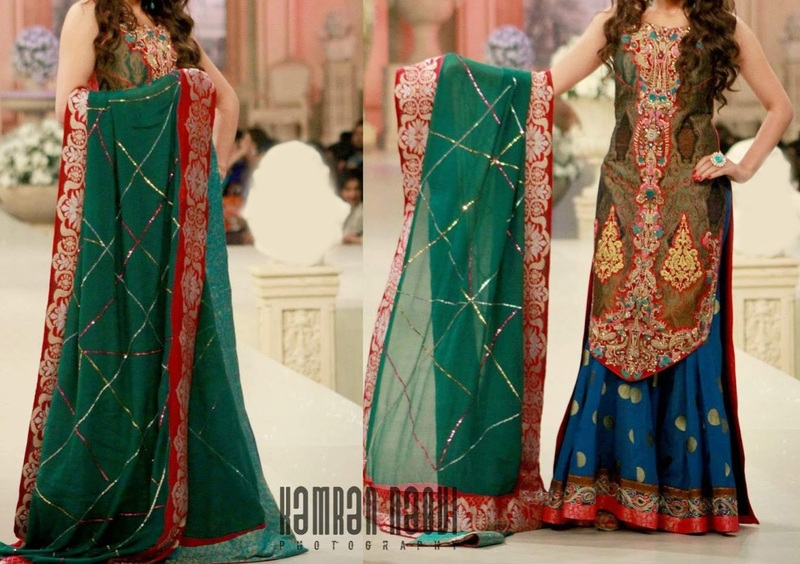 Drop a comment below if you like this Bridal Dresses Sharara and Gharara Designs 2015 post.